We dispatch orders on Monday to Friday. No orders are dispatched at the weekend. If you have any questions or queries regarding any aspect of the delivery process please see our Delivery FAQ's below alternatively email sales@speedcamerasuk.com. For deliveries within the United Kingdom (UK) delivery is free for orders over the value of £50.00. For orders of a value of less than £50.00 a delivery charge of £4.29 will apply. The free delivery for orders over £50.00 (and orders under the value of £50.00 and dispatched at the standard delivery charge of £4.29) will be delivered/dispatched between 1-10 working days. We may use a courier service or more likely a Royal Mail signed for service e.g. Royal Mail 2nd Class Signed For. Please note: Orders placed for guaranteed UK Saturday delivery will be dispatched on the Friday prior to the following Saturday e.g. orders placed on a Monday, order dispatched on the Friday of that week. For all guaranteed delivery services your order must be placed Monday to Friday and no later than 3pm, the day preceding the expected delivery. If you need your order to be delivered no later than Monday, you must place your order on Friday before 3pm. Please be aware that Royal Mail or a courier may, at their discretion, attempt delivery on a Saturday. No orders are dispatched on Saturday, Sunday or Bank Holidays. A signature is required for all deliveries. To read more about UK delivery (including how to achieve guaranteed next working day delivery) please see either Delivery FAQ's or UK Delivery important information below. For deliveries to mainland Europe, including Republic of Ireland, the delivery charge is £14.99 and covers packages up to 2Kg weight. This cost also applies to accessories. However if buying lightweight accessories only you may like to contact us prior to placing you order, as we may be able to reduce the delivery charge. We use either a courier or Royal Mail International Signed For Insured Airmail and, depending upon your country, will use tracked and/or signed for service. We will advise you of your International tracking/signed for number via e-mail on the day that your order is despatched. If you'd prefer to order online and choose the appropriate delivery charge from various UK and International options, please purchase from our sister website at ActiveGPS. For deliveries outside of Europe (rest of World). The delivery charge will be up to £29.99 (subject to a 2Kg weight limit). This cost also applies to accessories. However, depending upon what are are ordering, we may be able to reduce this cost. We suggest prior to placing you order that you contact us with details of what you'd like to order and the destination. We can then provide a bespoke price. We send customer purchases Monday to Friday (with the exception of public bank holidays). We aim to dispatch all orders (subject to availability) placed before 3pm on any given working day, the same day. For UK orders over £50 there is no delivery charge - unless you want a guaranteed next day or Saturday delivery. For UK orders under £50 there is a delvery charge of £3.99. Delivery outside the UK costs £14.99 within Europe and up to £29.99 for the rest of the World. For more information please se above. If you want a guaranteed next day delivery, guaranteed Saturday delivery or guaranteed before 9.00am delivery please contact us for additional delivery charge options. Which countries do you delivery to? We deliver within the UK, Europe and many worldwide locations including; North America, South America, South Africa, Australia, Japan, etc. 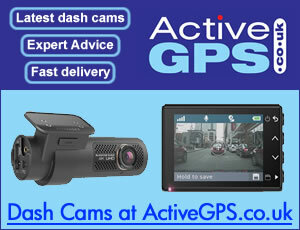 Please note: A number of the devices we sell have either a UK/European speed camera or map software database. Therefore, before buying for use outside of Europe, please ensure that the device will meet your needs and will work in your country/territory or region. Yes, all deliveries we require a signature upon receipt of the goods. Do you have a question that's not answered here? Please email us at sales@speedcamerasuk.com. Goods not signed for will be then held at your local Royal Mail collection office - at the time of the unsuccessful delivery of your order, Royal Mail will leave a card providing collection details. Goods will be held for a disclosed length of time. After this time your purchase will then be returned to SpeedCamerasUK.com. We retain records of all purchases and returns. All orders are individually weighed before dispatch. Royal Mail will not consider a Recorded Delivery item is lost until 15 working days have elapsed. We must submit a claim and when We have received a refund from Royal Mail we will refund You. In any instance of loss You agree to co-operate with Royal Mail if they contact You. If we dispatch your order to the address given by you when ordering and your order is returned as undelivered and you subsequently cancel your order we will not refund the delivery charge.